The Burrillville institution has served its signature menu of all-you-can-eat chicken, fries, pasta and salad since 1972. Families are always welcome at Wright’s Farm Restaurant. Photography by Chris Vaccaro. Young children are running around on the grassy lawn playing tag as shrieks of laughter fill the air. Moms and dads hold babies too young to walk, while older folks wait patiently to hear their names called to the hostess stand. 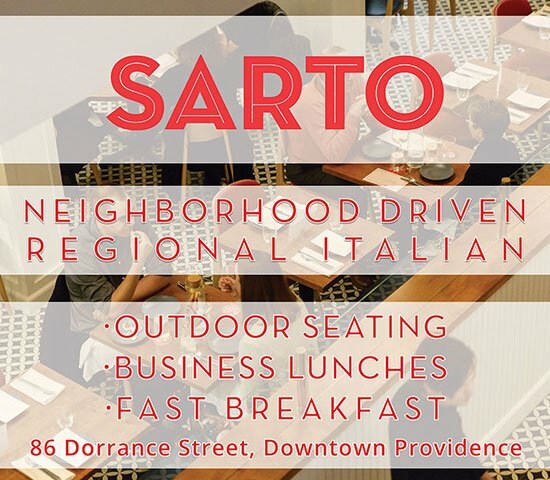 Right when you walk into this iconic northern Rhode Island restaurant, you know it’s all about family. The tables, both long ones for larger parties and smaller ones for a more intimate outing, are plentiful; each dining room boasts a large communal and open space. Guests gather around the tables and scoop a little bit of everything from the family-style chicken dinner onto their plates, each portion of the meal mushing together. But that’s the beauty of it. 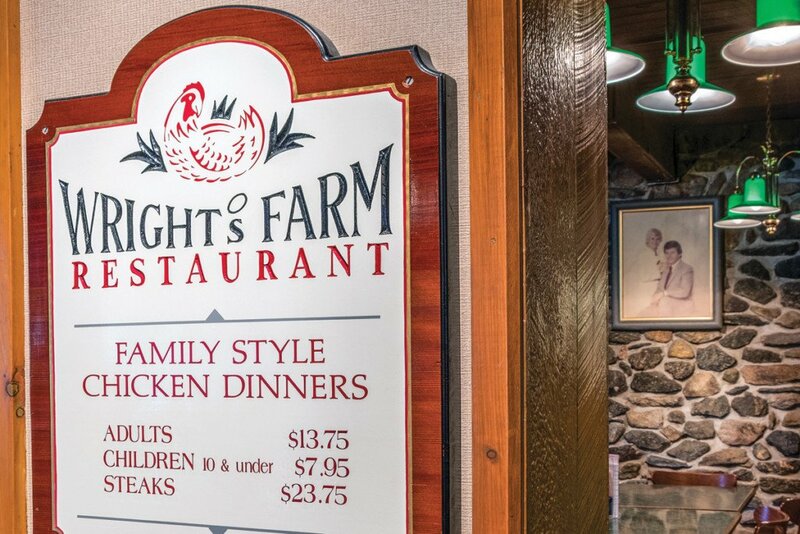 At Wright’s Farm Restaurant, it’s not just about good food coming together, it’s also knowing you can go out to eat and enjoy a meal with the whole family, too. Nobody is worried about how their meal is plated, table manners are few and far between and kids can be kids. It’s as if you’re sitting around grandma’s kitchen table, elbows touching and laughter erupting in between each bite. But at Wright’s, you get a friendly waitstaff and service, too. And while a quick dinner at home is purely a convenience, Wright’s Farm Restaurant has mastered the craft of serving up not only a well-cooked spread that you’ll want to leave your house for, but also for the fun that can still be found around the table. And what’s better than enjoying delicious food with 1,400 of your closest family and friends? Well, nothing really. Wright’s Farm Restaurant, not to be confused with Wright’s Dairy Farm and Bakery, is an affordable, family-style restaurant that has been serving the same all-you-can-eat type of menu (roasted chicken, homemade rolls, salad, pasta and french fries) since 1972. The restaurant’s long-lasting legacy began in the mid- to late-1950s, when Jean Wright and his wife opened a small but bustling establishment. The couple lived across the street where they raised several farm animals including goats, ducks and chickens. Jean used the barrels the animal feed came in as barbecue roasters to cook the chickens for many local organizations including the police department and Knights of Columbus members. At the time, a small garage with picnic tables inside served as a communal space for guests to gather until a bigger area with 400 seats was needed. Then, in 1972, Frank and Joyce Galleshaw purchased the restaurant from the Wrights and expanded the business to accommodate even more guests. The current location now boasts 1,400 seats, but one thing is for sure: A meal at Wright’s Farm Restaurant is still about gathering around the table with the people closest to you. 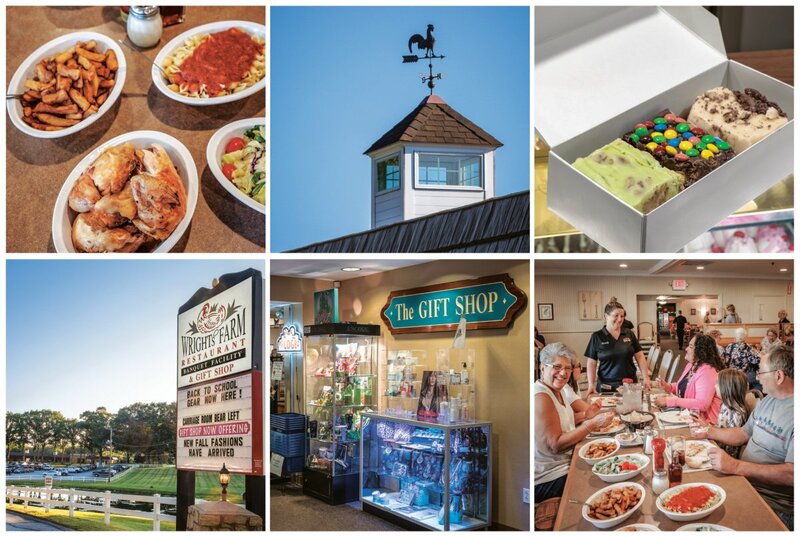 Top, left to right: Wright’s Farm Restaurant serves a family-style dinner of salad, chicken, french fries and pasta with its signature sauce; a rooster sits high atop Wright’s on its perch; homemade fudge is put in a to-go box to enjoy at home. Bottom, left to right: Sprawling green lawns and plenty of parking welcome all to the large family-owned, classic Rhode Island establishment; find all sorts of treasures in the gift shop; families enjoy a hearty meal around the table. It’s not just the Galleshaws you can find at Wright’s; it is the generations of employees from the same families who serve guests there, too. The kitchen, which is in the middle of several dining rooms and is the heart of the home (and by home we mean this monstrous dining space for all to gather), serves 14,000 pounds of chicken, 12,000 pounds of potatoes, 2,000 pounds of pasta and 600 gallons of red sauce per week. A sixteen-ounce steak alongside the popular dinner menu is also available for an additional cost, though Rhode Islanders continue to enjoy the traditional offerings of the classic chicken dinner like the generations before them. The numbers don’t lie; people love Wright’s. And for a good reason. It is not just about savoring dinner without having to turn your own oven on at home, but it is also about the experience while at Wright’s Farm Restaurant. Guests stroll the property’s beautiful grounds, play Keno and browse the 4,000-square-foot gift shop. From children’s toys to fashion accessories to a candy corner with homemade fudge and everything else in between, the store runs the gamut. You’ll also find Wright’s food products there so you can bring the flavors home with you, too. You can’t beat being at Wright’s, enjoying the affordable food, cheery waitstaff and the chance to share a common bond with other Rhode Islanders over a good old-fashioned feast around the dinner table.